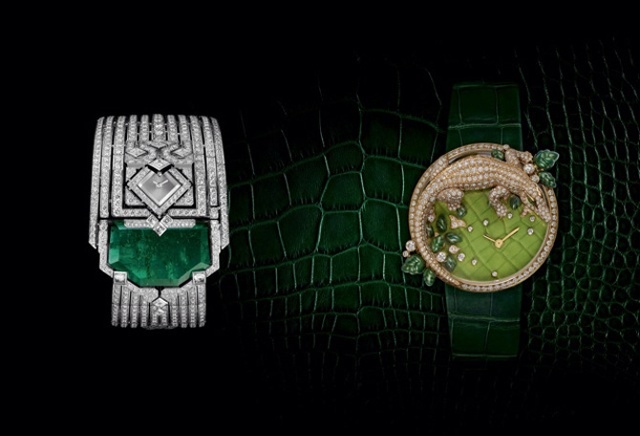 This year at SIHH, Cartier showcased its eye for beauty and talent for stone setting and enameling in its new ladies timepieces, specifically the L’Heure Envoûtée de Cartier high jewelry secret watches, and Les Indomptables de Cartier brooch watches. The former features watchmaking sleight of hand made famous during the Art Deco period: the dial of the watch is artfully hidden (hence the term secret) beneath a gemstone-set cover. One stunner, a unique piece in rhodium-plated 18-karat white gold, is set with brilliant-cut diamonds and a single 33.51-carat emerald. The style of the watch is pure art deco, while the spirit is utterly Cartier. 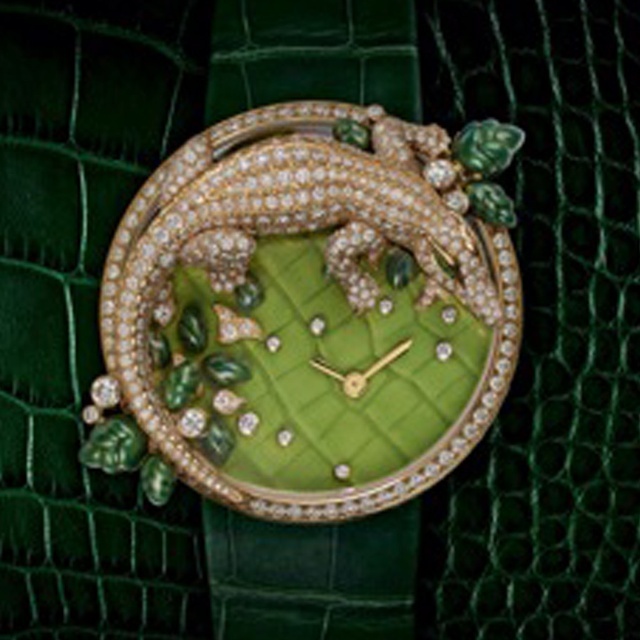 The 18-karat yellow gold Les Indomptables de Cartier has a green enamel dial with a crocodile scale motif. A gem-set crocodile perches contentedly at its top, awaiting transformation into a lovely brooch. This quartz-driven timepiece is an edition of 50 pieces, each hand decorated with brilliant-cut diamonds and emeralds. It comes on a green alligator strap.